I have had some odd differences in outcome when I load genesis2 related content directly in Carrara 8.5 compared to saving it out from Daz Studio first. I thought this thread might be a good place for people to compare best practices for loading genesis and genesis 2 content in Carrara 8.5. Oddly, I have had the opposite experience from what I expected. I know a lot of people have had good success saving their scenes from Studio and opening the whole scene in Carrara. In my tests I have been getting more poke through when saving the entire scene from Studio and then opening it from the scene presets content tab in Carrara compared to when I have loaded only the character from the presets tab but then loaded the content and used "fit to" in Carrara. Isn't this the opposite of what most people have experienced? I created a g2f character in Daz Studio with extreme proportions, including height change, and saved it as a character preset. 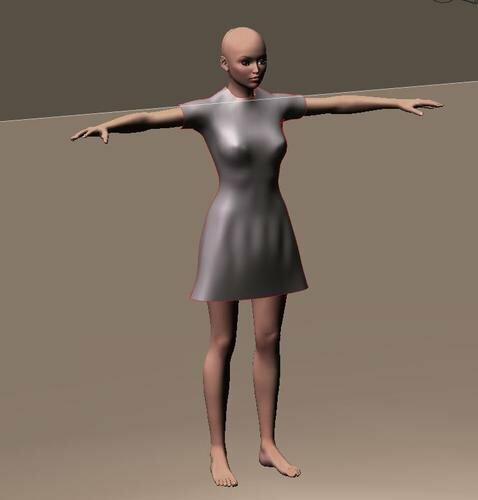 I used fit-to in Studio for a custom dress that I made in Studio, applied a pose, and saved the scene as a scene preset. In Studio, it looked fine. In Carrara, I opened the entire scene preset, and to my surprise, there was a lot of poke through (see pic from side, but there was even more in front). I then repeated by loading the elements directly from Carrara. That is, I loaded the character in the t pose from the character preset. Ioaded the dress I had made from the wearable preset. I applied the "fit to" for the dress in Carrara. I applied the same pose in Carrara. There was no poke through. See second pic. I know that this is not the typical results for others. Maybe it would be a good idea to have some examples of best practices for saving out Daz Studio scenes and loading them in Carrara 8.5. The issue has come up in many threads from installing and getting started in Carrara to threads on specific items of content. Is it possible that different results have something to do with how the content is constituted? I'm not sure that this is the problem in your example, but I have had similar problems a few times. Usually just re-fitting the cloths does the trick. I usually set everything up in Carrara, unless there is a problem piece of clothing that won't load properly, or some older Genesis content that didn't get upgraded from .dsf to .duf. I've found Poke Away (for Genesis) and Poke Away 2 (one version for G2F, and one for G2M) to be invaluable to fix poke through in Carrara since we don't have the refined tools to reduce poke through (like push and smooth) that DS has. There's a setting in Carrara to inherit the scale of the item that is your parent. My experience has been that this setting can sometimes cause 'double morphing or double scaling' on items that are brought in from adz scene files. One other thing I've noticed: if you save out your posed and clothed character to My Objects for later use, the clothing will often need refitting after you load it back into a scene. Hi diomede64 this is for you. This is Genesis morphed from within Carrara into Ribbits, Thin man, and Octogenesis (geografted tentacles morphed). 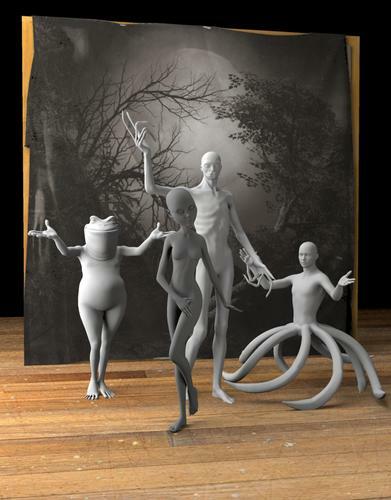 The figure in front is Genesis 2 Female with the Fiends Forever morph. I'm sorry, I didn't know they didn't work in Carrara ;-). I use Genesis, G2F, and G2M in Carrara 8.5 pro. Loading, posing, and morphing them in Carrara hasn't been an issue for me. However, I do load all my DAZ stuff with DIM, so I don't know if that makes a difference vs custom runtimes. I've also had no problem in Carrara with morphs transferred from Gen3 and Gen4 figures with GenX2 (actual transfer work done in DS, of course). In fact, I'm using the Francesca for V4 character by 3DCelebrity for my contest entry. Autofit doesn't work as well in Carrara as it does in DAZ studio. I'll try autofit in Carrara first, but if it gives me trouble (such as lots of poke through, weird bridging between pant legs...) I'll go to DS and save the clothing as a figure/prop support asset then load in carrara. I sure wish Carrara had the collision settings like DS. Alas, the long dress mesh pulling issue is a problem in both DS and C8.5. One thing I do in Carrara if clothing is not autfoitting well, is to not load on the genesis(2) above actor in the instances tab, but drag the item to the outermost genesis(2) above it. Then select fit to Genesis(2) in the general tab. I don't know why, but often this cuts through the crap and gets the job done. There are some items that just won't work like some hairs, hats, jewelry, wings for example. These I drag to the scene, cancel the autofit prompt, and parent directly to the part I want it on. Textures are definitely something I have to go to DS to get to work. I was really frustrated with Genesis at first, knowing that V4 and M4 textures should work within Carrara. Then someone mentioned here that the generic Genesis and basic female have V4 UVs while the basic male has the M4 one, so you just have to select the right on for the job. The skin textures are often black when they load. I think it is from incompatible SSS and DS surfaces maybe? I also have a lot of V4/M4 stuff I want to keep using, since Carrara doesn't do UV swapping, I've got to do it in DS and save as a character/material preset. After that, I like to optimize as Carrara materials. Since I have a lot of Gen 3 and Gen 4 items, I have invested quite a bit in the shapes, clones, and rigging tools to make them usable with the Genesis figures. Though, for the most part, I do pretty well with Genesis figures in Carrara, there are clothing items, poses, geografts, etc. that just won't work in Carrara for whatever reason. It's frustrating, but fortunately the minority of instances. in case anyone wonders, Ironman13's Squish soft body morphs work beautifully in C8.5. The sitting one is amazing! The morphs are very subtle, but make the figure look right in those places. It is certainly the opposite of what I experienced. I've had more success in importing my clothed Genesis characters from Daz Studio than trying to fit clothes on them in Carrara. Carrara'a auto-fit clothes the figures pretty well, as least for the Genesis clothes, but it is not perfect. I put clothes on my characters in Daz Studio, where the is a smoothing modifier feature (absent in Carrara) and I even save the DUF files in the Daz library in the People/Genesis/Characters folder (where the DIM stores V5 and V6 by default) (see pic). That way, I always have instant access to them in Carrara and have no poke through problems. I changed the thread title so that it might be useful for a more broad set of issues. 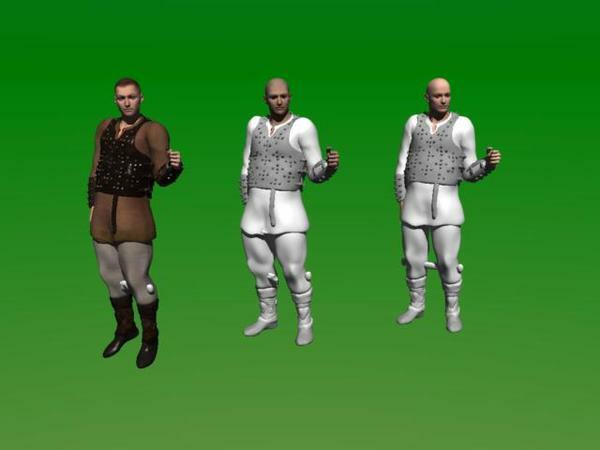 Here, I used the wardrobe wizard in Poser to convert a clothing set intended for the Poser 7 male for use with Michael 4. I then used Daz Studio to convert the Michael 4 version for use with Genesis and repeated for Genesis 2 male. I then loaded them in Carrara and applied the same pose. I think the mesh and rigging transformations worked OK. For some reason, the duf files lost track of the textures. I could have put the textures back on, so don't get thrown off by that. Edit: In the pic, I have applied the M4 shape to Genesis and Genesis 2 Male. What's with the deformation by the knees? Is that intentional? The deformations by the knees are remnants of the bodyhandles because the tunic is sort of like a dress figure. I simply forgot to make them invisible. Ooops. At least it's not a fault of the conversion process. Not surprisingly, with the G2 figures you can still use Poser as a cloth plugin for Carrara if you get the DSON importer working. This will be old hat for a lot of you, but one thing that I like is that you can still attach the posed prop to the skeleton within Carrara and make some additional changes to the pose, which you can't do if you just import the figure and cloth as an obj. Here are the steps that I did. - in Daz Studio, I loaded a G2F character (Riven) and dialed some more morphs. I made sure to include some Stephanie 4 morphs to change height. - still in Studio, use "export" and save the G2F figure as a Poser CR2 fle. 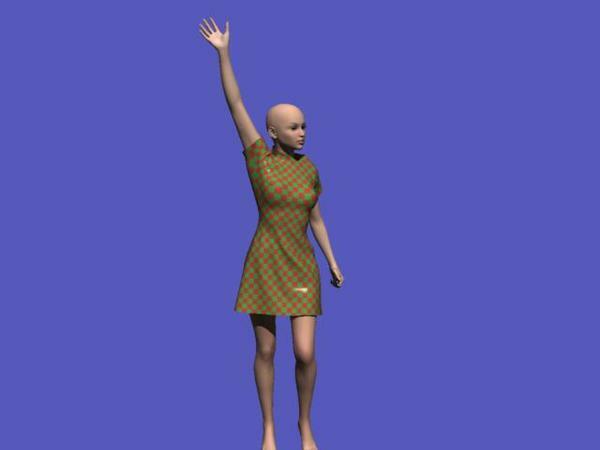 - export the dress as an obj and reimport it to poser. - Load the posed clothing item from the Poser props folder. It should fit the posed G2F figure . If not, edit with vertex modeler. First setup the figure in Studio, with costume and pose. Then export it out as an .obj. The export scale is Poser scale. Under write groups, I use : Use Figures Name(S). This way the jacket is named jacket, pants is pants etc…. I’m also collecting the maps. They will be stored in a sub-directory to where the .obj is stored. Then when adjusting the shaders I don’t have to go hunting for the maps when adjusting the shader in Carrara. When importing into Carrara, I only create one .obj. This way I have fewer objects to keep track of. But the shading domains are intact, so I can then start to adjust the shaders. Here is how I make custom clothing for the genesis 2 figures for use in Carrara. This probably should have been one of the first couple of posts in this thread. - I loaded the default genesis 2 female in Carrara. - I used vertex modeling in the assembly room to create an envelope for the G2F figure. - I created shader domains and uvmaps to correspond to pants, shirt, shoes, gloves, etc. - I saved the base for later use. - I edited the envelope to make a simple superheroine suit. 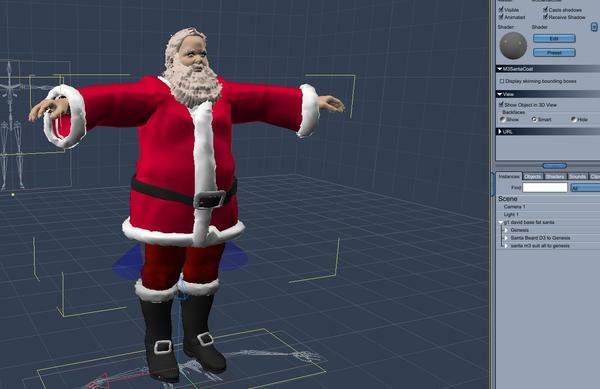 - I exported the suit as an obj with the Poser style format checked. 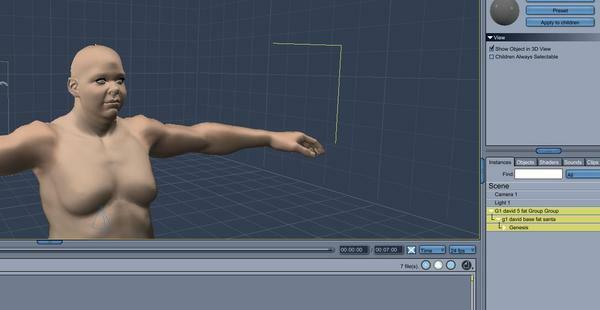 - I used the transfer utility in Studio to convert the supersuit to a figure. Source is the G2F, target is the obj. - I used save as wearable preset. - In Carrara, I updated the wearable preset folder in the browser and loaded the converted supersuit. - In Carrara, I used "fit to" to apply the supersuit to the G2F. - I morphed the G2F and applied a pose. The supersuit matched the morph and pose automatically. The saved envelope mesh can be easily adapted in the future. Empty files folders and loading error! Some common issues and solutions. If you are new to Carrara or have recently upgraded to 8.5, then you are probably frustrated with finding and loading your content. Here is some basic information about two types of content, and how to make use of both. If you want some basic information on file content types, see here. But what do you really need to know to start using genesis-related content in Carrara 8.5 ? You really need to know about 3 categories of files. The first is the daz-specific files that seem to be the standard for Studio. These files end in .dsf or duf, and by the default install are contained in a content library called "My Daz3D Library." The second type of files are in the Poser format and are in cr2, pp2, and similar formats. By default install, these are in the "My Daz3D Library Runtime" content folders. The third type are Poser companion files PCF and are available so that Daz Studio DUF files can be used in Poser. So, you need to be aware of how to load your content directly in Carrara 8.5. - duf and dsf files, such as genesis, genesis 2, and related products, will most likely be available in "My Daz3D Library" The fgures Genesis and Genesis 2 Female, and Genesis 2 Male are in the "People" folder. Their characters, clothing, hair, poses, etc. are in subfolders in their respective folders. 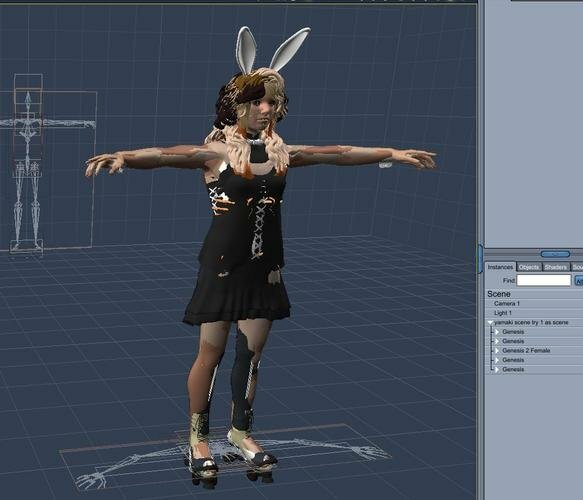 - Poser style cr2 files, such Aiko 3, The Freak, Victoria 4, and related content can be loaded directly to Carrara 8.5 from "My Daz3D Library Runtime." Emphasize the word Runtime. So what are the problems? Well, you need to know where your content is. Each big directory is going to have a lot of folders that appear empty, leading you to believe that you are missing the content. But, it may just be that the content is in the other format, and so is in the other directory. Worse yet, the content may appear in a location from which it cannot be loaded directly in Carrara. Aaargh. If you get a load error (or nothing happens), check to see if the content is in the other directory. Note - if you installed using the DIM installer, you can use it to check where your content is. Hover your cursor over the row in DIM for the content and right click to get a menu for checking your installed file locations. Note - you can custom install. If you did, then note your substitute names for the two directories. really appreciate you going to this trouble thank you!! Diomede - this is some really great stuff!!! Thanks for sharing, I'm SURE I'll find it very useful! This needs to be a sticky post IMHO! I lost track of it...now it's saved to favourites. 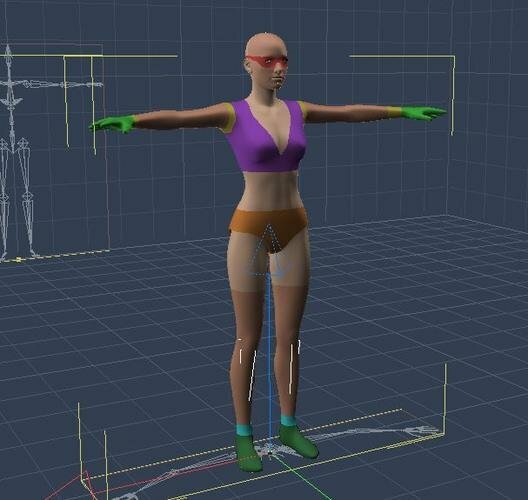 This method described by Varsel also appears to work for Poser 8+ weightmapped figures. If you have wanted to use Ryan/Allyson/Rex/Roxy/Dawn/Miki4/Tyler etc. in a Carrara scene, you should be able to export from Poser as an .obj, if the Fenric plugin has problems. Thanks for the nice comment, Silene. I would like this thread to be a place for people share their successes and failures in integrating content in Carrara. I've started making a clothing/armor set for the G2F with a "Vicky in a Temple with a Sword" theme. It is inspired by the challenge and the recent store sales, but I've already submitted my two entries. The clothing and the scabbard will eventually have a leather look so they are an OK start, but the wrist and right thigh bracelets are supposed to be metal. If you look at the right thigh, the metal hoop morphed with the Vicky 6 thigh in size, which is good, but it also changed shape to match a defined muscle morph, which is not so good. Would trying to solve this with Daz rigidity mapping work in Carrara? If so, any helpful tips or tricks? Aaargh. I know that you can shape genesis, then model the clothing to that shape, and still use the transfer utility to rig to the genesis standards. But I don't know how, and I can't find any explanations for the settings on the transfer utility. Here is what the knowledge base says regarding my problem. "NOTE: If you are modeling for a particular shape on the figure (i.e. Victoria 5 for Genesis), and not the base shape, there are specific steps to follow. These steps will be covered in another article to be added later." Are there any members of the secret society who might explain the specific steps for me? To model to a Genesis shape. First dial up your figure in Studio. 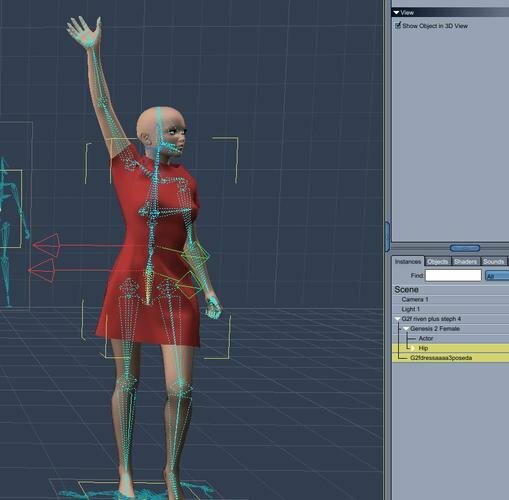 Export your figure out as a .obj for use as a mannequin. Important : Some figures as V5,S5 ... do also use scaling to get the shape of the figure. You have to resett these scalings back to 100% before you export it out. Otherwise these scales will be translated to a morph when imported back into Studio. Follow this tutorial to import and rig you new cloth. LOL - did you see this little gem at the end of the tutorial? "(Note– I'm clearly missing a step here, because this isn't working.) "
No, really, thanks a lot Varsel. There is a lot of good information there that I'm sure also applies to the genesis 2 figures. Here is an attempt to construct a large scene with multiple genesis characters with some genesis clothes and some V4 clothes (even V2 clothes!) and 1 genesis 2 figure, and with a requirement to use poses from a pack designed for genesis. Not that it matters, but I had to use those poses and some of those clothing items for the random render RRRR stuff in the commons. In any case, some very frustrating moments. Start - wanted to use Yamaki Show pose set, Celia dress (for V4), sports pack props, and afternoon heat outfit (genesis 2) in a render. All products are sold by Daz. 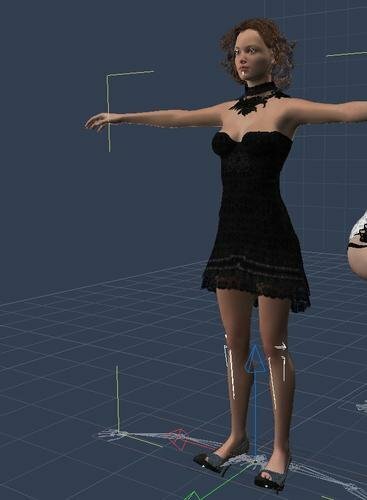 The Yamaki poses are supposed to be compatible with genesis, and the Celia dress for V4 is supposed to be able to be "fit to" Genesis and Genesis 2 female (I have the appropriate packs). I also intend to use several other products from the Daz store. Attempt 1 - just loading everything in Carrara. I loaded a V4, conformed the Celia dress to it, but could not get the Yamaki poses to work on the V4 in Carrara. Decided to use only genesis and genesis 2 figures. Attempt 2 - tried loading everything one-by-one in Carrara and "fit to" in Carrara, conform, morph, etc. Unfortunately, Carrara froze several times, forcing me to start over several times. Attempt 3 - tried loading everything in Daz Studio and saving as a scene, then loading the scene in Carrara. Very strange results. Note - I want to contrast these results with my attempt 4, which involves saving elements as wearable presets. When I saved as a scene out of Daz Studio, Carrara lost track of a lot of basic genesis morph information that it does not lose track of when I save as other presets. Strange, but true. - load several genesis characters and one genesis2 in Studio, with various morphs applied, and various clothing fit to and poses applied. ... then saved as a scene. - tried to load the scene in Carrara. 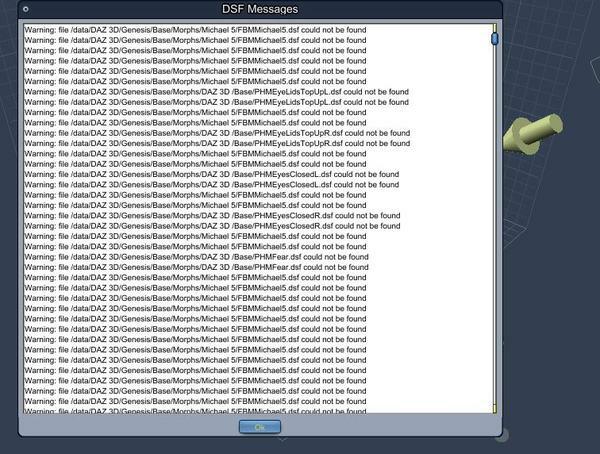 Got a bunch of error messages about not finding Michael 5 dsf files. ...strange on a number of levels, especially given that (a) no errors when loading as a character or wearable preset, and (b) no Michael 5 usage in the scene. - despite errors, the figures load in Carrara, but unmorphd and unposed. - simply highlighting the figures in the instances tray prompts them to assume the pose, but not the morphs. ... the morphs of the genesis characters are disabled at this point. Strange again, because a new load of genesis to replace the scene saved genesis results in a figure that can be posed and morphed. Furthermore, the newly loaded genesis can be a figure saved out of Daz Studio as a character preset, and it will find the morphs that it did not find when saved out as a scene preset. - the result is a set of figures in the default genesis shape, in the poses saved out of Studio in the scene save, but not the morphs. Furthermore, those figures have no working morphs, even though the morphs appear in the properties tray. 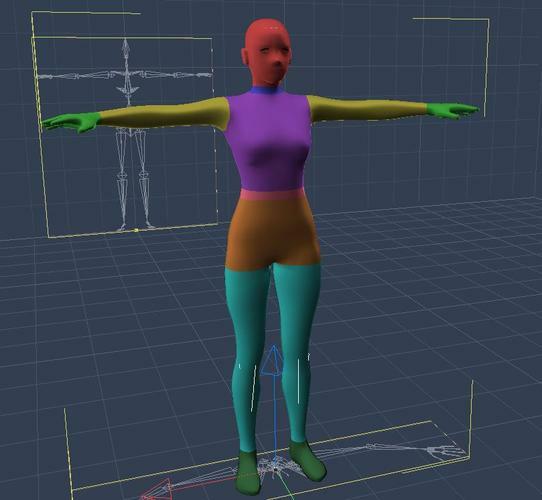 ... note, some of the clothing items that were saved in the Studio scene were designed for V2, not even V4. Mysteriously, those clothing items and the clothing for V4 do morph themselves to fit the default genesis. ** The next post will have an attempt to try another loading method. P.S. One could load everything as desired in Studio and export as an obj as described in previous posts, but I want to preserve the ability to adjust poses and make other changes in Carrara. Same experiment as above. Here, I still start in Carrara with the scene saved out of Studio, but I delete the genesis and Genesis 2 figures and replace them with newly loaded genesis and genesis 2 figures. I then try to apply the clothing that was saved out in the scene files to newly loaded figures because the newly loaded figures can be morphed. 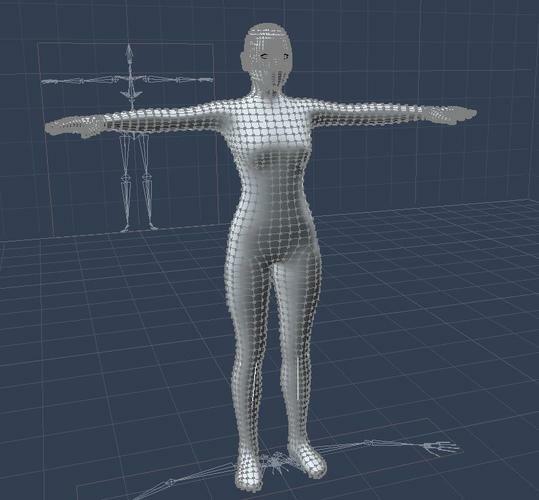 - screenshot 1 (wireframe view) shows that the Celia dress (designed for V4 but fit to genesis in Studio) saved out of Studio in the scene file will not morph to fit the shape of the newly loaded Genesis figure. - screenshot 2 - In Studio I loaded a genesis and the Celia dress. I "fit to" the Celia dress to Genesis. 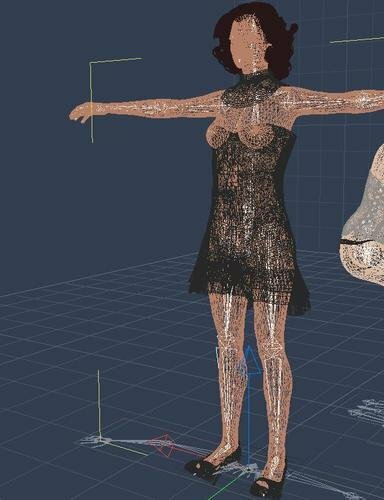 I used the save as process to save the Celia dress as a wearable preset for genesis. In Carrara, I loaded a new genesis and the Celia dress wearable preset. In Carrara, using fit to from the wearable preset Celia dress to the genesis figure worked. The Celia dress morphs its shape with genesis. ** seems like a good news bad news outcome. Don't know why the scene save loses the genesis morphs, but at least the save as presets for characters and wearables seem to work. Good news? On the other hand, that means I have to try to load all the pieces individually again, and this all started when Carrara was freezing when constructing the large scene. Bad news? 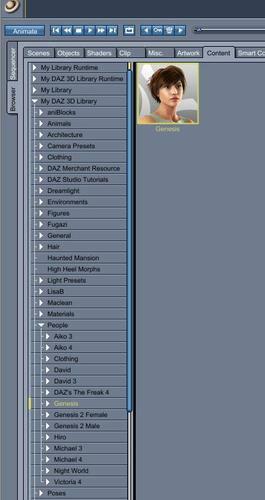 Now here was a workflow that got all of the elements exported from Studio, imported in Carrara, and still capable of being further posed and further morphed/edited in Carrara. - For each clothing and hair item that I wanted to use, I loaded it in Daz Studio and used "fit to" for genesis. I then saved it as a wearable preset. - This included clothing items designed for V4 (and for A3 and V2 as I have the appropriate Daz products). - I opened a new Carrara file. I loaded each saved genesis-based character from the objects browser. I also loaded all of the props. ** everything remains capable of being posed, of having its morphs changed, or otherwise treated like a typical Carrara figure. Now that I have all of the elements loaded and editable, it remains to be seen if I can actually compose anything worth rendering. You know, that whole art-thing that I struggle with. :) However, from a purely technical perspective, this is a workflow to keep in mind if your typical workflow gets buggy for a project. I did a little more experimenting on the Studio to Carrara workflow. In the discussion a couple of posts above with all of the "can't find Michael 5" errors, I had exported the multiple figures from Daz Studio using "save as : Scene". When I tried to load in Carrara, I got all of the weird errors and the genesis's morphs were inactive. I did a similar experiment with multiple characters with a variety of items "fit to" them, but this time I used "save as : scene subset." Carrara was ultimately able to load the scene, but there were a few hiccups along the way. Some notes. 1) Trying to load the scene subset to Carrara took forever. At first I thought Carrara had locked up. But, when I checked task manager, Carrara was still operating even though it didn't seem to be. I waited it out, but it took at least 30 minutes to load and it really seemed like it had stopped working, but it hadn't. 2) All three figures retained their active morphs when loaded. 3) One genesis figure and one genesis 2 figure loaded with hair and clothes correctly (like they had been in Studio). This included items designed for V3, V4, genesis and genesis 2 that had been "fit to" in Studio. 4) One genesis figure had its hair and clothing messed up, meaning that it did not appear as it had in Studio. Initial attempts to unconform and then use "fit to" again did not correct the problem. 6) The "save as : scene subset" can be an effective workflow, but will have to watch for loading times and content fitting issues. Couple of more observations. These are just suggestions. I'm not confident at all that these observations have general applicability. 1) I find that I get fewer errors and problems if I save stuff in the Carrara browser, then load from the Carrara browser, rather than just loading a .duf file. I'd be interested if anyone else has any experience along these lines. Unfortunately, saving genesis or genesis 2 can take a long time, but at least you'd only have to do it once. This also affords me the opportunity to save a version of the figure with a Carrara-friendly shader instead of the studio texture. 2) I still find that I have more success when I load a clothing item or hair to the group level without conforming or fitting yet, and only afterwards using fit to. 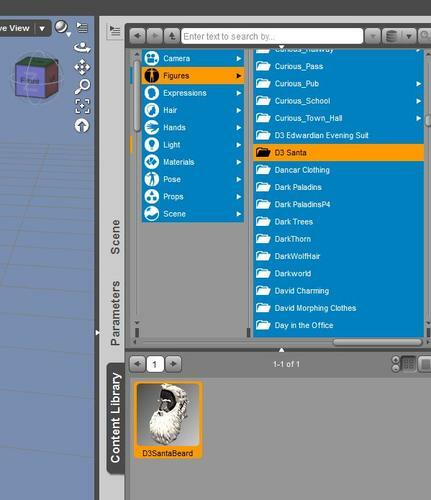 3) Because of observation (2), I now create another supergroup above the base group when I save to the object browser. For whatever reason, Carrara has deleted one level of grouping when saving to the browser. 4) Still having reasonable success using generation 3 and generation 4 content with genesis as long as I have the appropriate clone product. 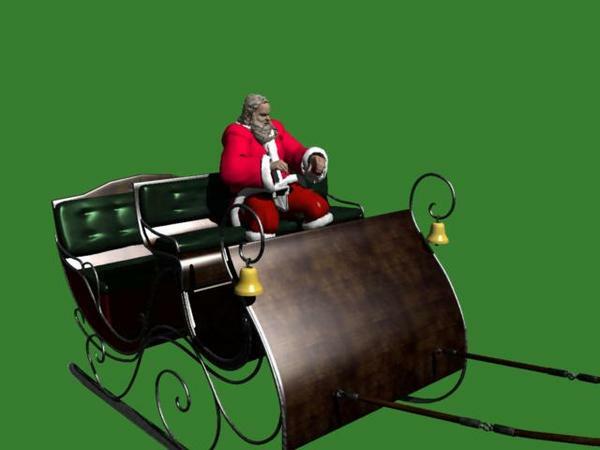 In this iteration, I am going to create a Santa Claus / Father Christmas figure. I happen to have a hair/beard product designed for David 3 and a Santa Claus suit designed for Michael 3. Here I use Studio to shape a genesis figure to be short and fat with a bulbous nose and save it as a character preset. I then use studio to "fit to" a David 3 hair/beard to genesis and then save that as a wearable preset. Repeat for the Santa Suit for Michael3. 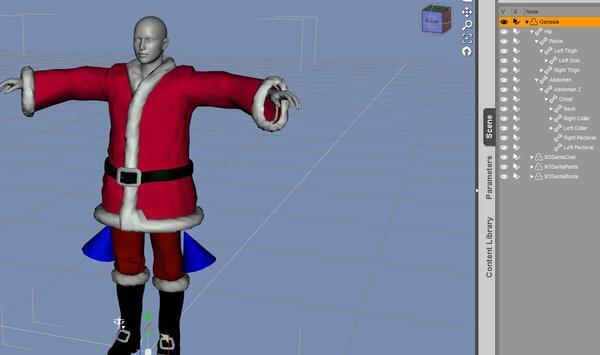 - in studio, used "save as : character preset"
In Carrara, I assemble the Santa Claus character. I do have some suggestions. - highlighted the actor level of genesis. I own Ringo's David 5 Carrara shader, so I dragged that shader from my browser to the multicolored globe at the top of the properties tray. One reason to use this workflow instead of exporting from Daz Studio as an obj is that it preserves the Carrara-friendly shaders for a future use. 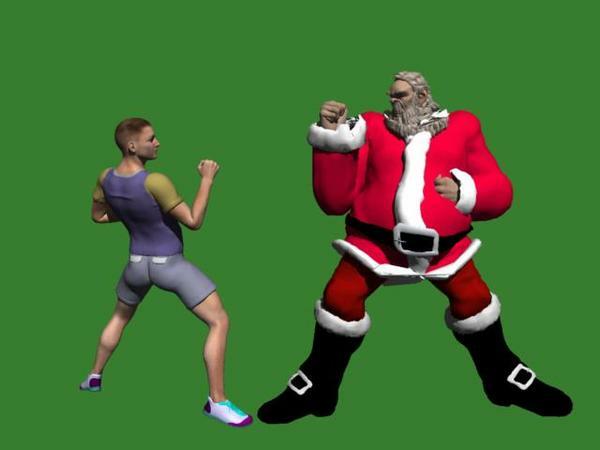 For example, what if instead of a jolly fat little santa in a sleigh, I want a giant ugly santa boxing M4? Very easy to throw together a starting point. Many thanks for these explanations, greatly helping me to better understand what to do. I will be redoing Vicki6 from my Carrara Challenge as what you have suggested in these posts, and also as the other words of wisdom from the Challenge. Will also be looking at Architools but will be spreading my time in-between, especially when I reach those points that I need to clear my head for a fresh perspective (which is often for me). Also many thanks for your words of advice during the Challenge. I wonder if they can change the voting to 10 winners and 10 high recommendations ? Well-done for the status upgrade to "POWER!!!!!"